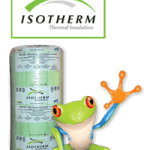 Installing 145mm Isotherm will make a huge difference in temperature in the home. 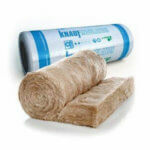 In fact, 145mm Isotherm is regarded as one of the most Eco-friendly Ceiling Insulation products on the market. 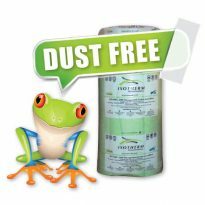 The 145mm Isotherm Price Twin pack is two rolls 750mm wide side by side 1500mm total width and 5000mm long. 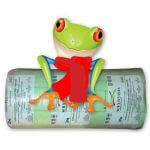 The Twin Pack Isotherm Rolls is 5000 x 1500 x 145mm. 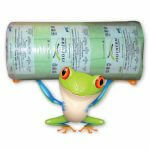 There are two rolls of 750mm wide in each pack. 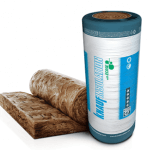 The 145mm Isotherm Price Twin Pack is discounted substantially to encourage as many homeowners as possible to install insulation and become SANS compliant. In fact, this will save money on energy as the need for heating and cooling will be reduced substantially. The added benefit is that we are reducing the global footprint and global warming. 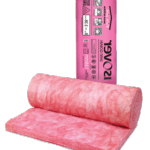 Installing Roof Insulation is simple as one as one follows a few basic important facts. Firstly all wires in the roof space must be above the insulation wherever possible. Secondly all down lights must have breathing lights cut around them. Never fit cones over the electrical wire as this is a fire hazard.